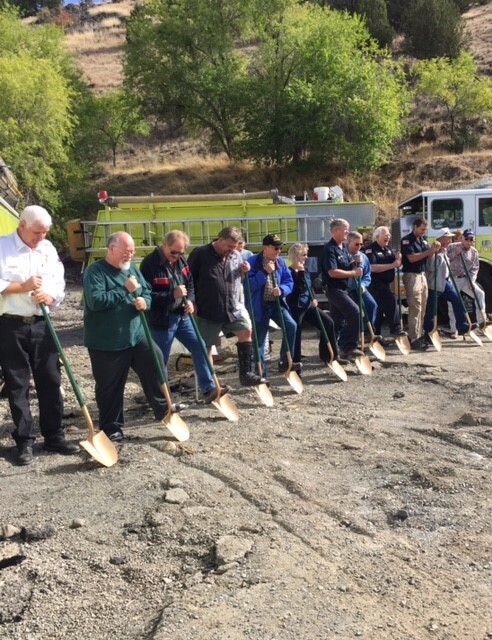 On September 15, 2015 a Ground Breaking Ceremony was held in John Day Oregon in celebration of the beginning of construction for the new ” John Day Fire Station “. 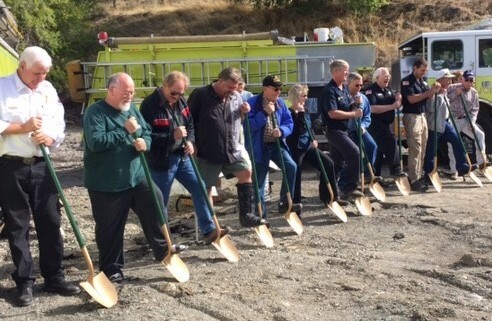 ” After several years of planning and after generous support from our community, the long awaited John Day Fire Station Project is scheduled to proceed” said John Day City Mayor Ron Lundbom. Several community members and elected officials gathered for the official ground breaking ceremony held at the 316 S. Canyon Blvd. in John Day. The project has been made possible as the result of the passage of a Bond Measure by the citizens of John Day in May of 2014. Additional contributions for the project were obtained through grants and other funding from the Ford Family Foundation, the Meyers Memorial Trust and the Oregon Community Foundation. Kirby Nagelhout Construction Company should complete this project in Spring of 2016.